Buying a home through a process called a ‘short sale’, has become more common in recent years. Buyers can score a great deal with a short sale, and it’s a good way for a homeowner to sell a property instead of turning to foreclosure as the only viable option. However, short sales can be complicated and are not always as easy to navigate as a traditional property transaction. If you are interested in pursuing a short sale, read these 5 facts on short sales before taking the plunge. When a house is listed as a short sale, it means that the property owner is trying to sell his or her property for less than the amount actually owed on their mortgage. Why would a bank agree to this? The answer to this question stems from the amount of money a bank has to pour into a property if it goes into foreclosure. 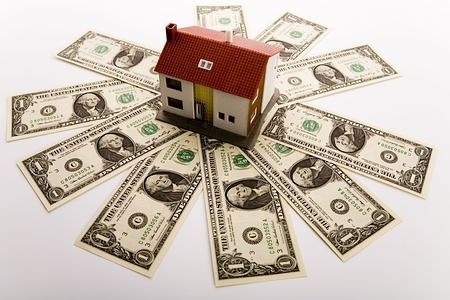 When a homeowner goes into default on a mortgage and a bank has to start legal proceedings to formally foreclose a lot of money has to be funneled into the property because of expensive court procedures. Additionally, once a property is foreclosed, the bank becomes responsible for property maintenance or needed repairs. In general, banks are not really in the business of owning property, and because of this the bank is often better off agreeing to let a homeowner sell the property for less than what is owed rather than pay the costs associated with a foreclosure. A lender will carefully look at the balance still owed on a mortgage when deciding what selling price they are willing to accept. If the seller already has a buyer lined up and the short sale price will cover a good portion of the mortgage still owned the bank is more likely to accept the price. Other considerations, such as the condition of the housing market in the location where the property is being sold, are also considered. Short sales are not for the faint of heart. They require a lot of research on the buyer’s end. It is crucial to see the property in person, carefully identify liens and mortgages that are associated with the property, and most importantly, get pre-approved for the loan amount before submitting a bid. It is also critical for the buyer to work with real estate professionals who have experience navigating the waters of short sales. This team should include a real estate agent and a mortgage broker who have dealt with short sales in the past. This way if problems or issues arise, the team will have a good idea how to address them. Once a buyer identifies a short sale property that they are interested in buying, a contract specifically designed for a short sale needs to be drawn up. It would be a good idea to have an attorney involved in this step, to ensure that the contract contains contingencies that allow the buyer to walk away without penalty if problems are discovered or if the process ends up taking too long and the mortgage approval expires, for instance. For a buyer, one of the biggest risks in buying a short sale is the potential loss of time involved. In short sale transactions lenders are in control of the process. Because of this short sales can be lengthy transactions, sometimes taking six or more months to close. Another unfortunate reality of short sales is that lenders, not uncommonly, total reject a deal after sitting on the paperwork and contract for months at a time.For some buyers who aren’t in a hurry, this potential loss of time is not a great concern. However, for buyers who need to secure a new home, or who are missing out on making offers on other properties that are priced to sell and in their desired location, this loss of time can affect them more prominently. Interest rates can change, and a buyer who is waiting to hear back on an offer from a lender could end up having to lock into a higher rate if their rate lock expires while they are waiting. Finally, there’s the financial aspect. While short sale may look like a great deal at the outset, buyers need to remember that they could end up spending quite a bit of money in out of pocket expenses. Attorney’s fees, mortgage application fees, inspections etc, can all add up. It’s not uncommon for buyers to spend a lot of money upfront only to have the lender turn down the terms of the transaction after months of waiting. This is a risk that buyers need to reconcile before submitting a bid on a short sale property. But, sometimes the risk is worth it, and a buyer will end up with a fantastic property at a fantastic price. For those who are willing to risk a little upfront and settle in for the long haul, a short sale can be a great option. Just remember that every short sale transaction is unique, and that patience is a virtue. If a buyer goes into the contract with their eyes wide open, they are more likely to reap the benefits of a short sale and enjoy their new property for many years to come.